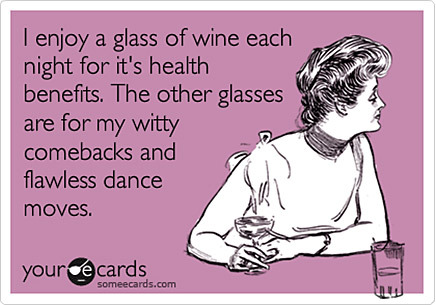 It’s okay, wine accepts us for who we are (it does see us sing at the top of our lungs). But, the worst thing is watching our wine pour down the drain (sometimes while crying) – even if it was only a $9 bottle. Here are some estimates for how long wine lasts, as well as wine storage advice that explains the Miles Davis photo. How Long Does Wine Stay Good? The cheap wine, (under $20) most of us buy at the liquor store can last a couple of years if stored correctly. Virtually none of this “cheap” wine is suitable for “cellaring”, (storing for long period of time) but it still might last as long as your average canned good if stored properly. To figure out if your wine is still good, start with the year on the label. Generally better wine can last longer, so that ’06 Yellow Tail chardonnay isn’t fit for drinking anymore! How long does red wine stay good and drinkable? Red wine varieties include: Cabernet Sauvignon, merlot, pinot noir, syrah, malbec, etc. Good for your heart and on the table of a candlelight dinner, all of the luscious varieties of red wine lasts about 1 to 2 weeks in the refrigerator after opening. Uncorked, red wine lasts about 2 to 3 years. This gives us plenty of time to choose between all of the subtle notes we’re in the mood for – from violets, blueberry, cherries and even coffee. Red wine is best enjoyed when it’s room temperature and after some time of breathing in some air to bring out the flavors. Sit it out as a decoration and try not to rush it’s beauty! How long does white wine last / stay good? White wine varieties include: Chardonnay, sauvignon blanc, pinot grigio, moscato, riesling, etc. The elegant and sparkly white wine is a lot more demanding (one of the only kind of demands I’ll be happy to follow). After opening, white wine only lasts about 1 to 3 days because white wine is more sensitive to light and heat than red. White wine makes me think of a breezy summer day. Light and bubbly — with notes of citrus, melon, apple and much more. Without opening, white wine can last 1 to 2 years. 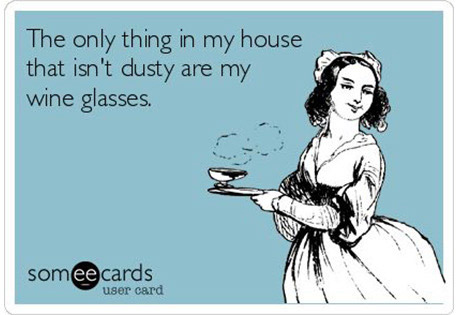 Actually, in our house an opened box of wine doesn’t last very long at all, but that’s because we drink it quickly! Tip: Are you training for the “Tour de Franzia?” Unlike bottled wine, box wine actually has an expiration date. 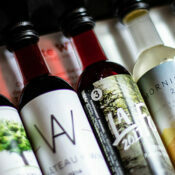 Box wine should still taste fine and be drinkable a couple of months past its expiration date. Hey, I just made that up! It’s a nice visual, and it should remind you how to store wine properly. Anyway, in order to know how to care for your wine, you need to know how to start its life off right when you take it home. The proper place to store your bottle of wine is not going to be right by your side, but it’s okay, it will still be there when you wake up (unlike other things). TIP: Never store your wine above the fridge, near the stove or next to the dishwasher. Every time you use one of those appliances, their heat will heat up your poor bottle of wine. Instead, find a spot in your house where it’s cool and dark and where you can place your wine horizontally. 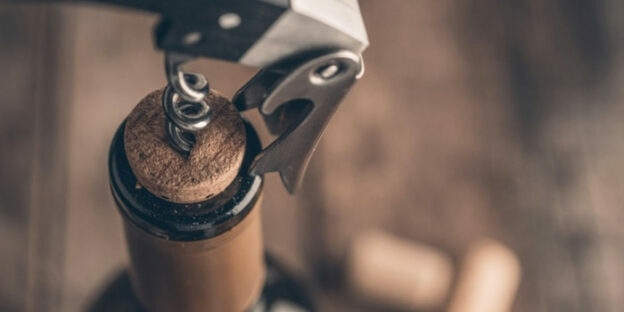 Storing your wine bottle on its side keeps the cork moist, which will prevent the horror of air sneaking into the bottle and drying out the cork, causing it to crumble into your wine. 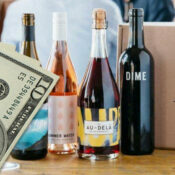 Tip: Not into cheap wine made by corporate robots, but intimidated by expensive wine? 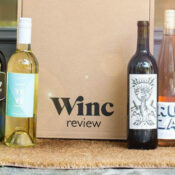 You can get good, hand-picked wine directly from smaller labels with monthly wine clubs like Winc (Review,coupons) and Tasting Room (review). Also, you can get some great bottles of wine for under $20 at your local liquor store, so no need to go crazy and buy expensive wine! 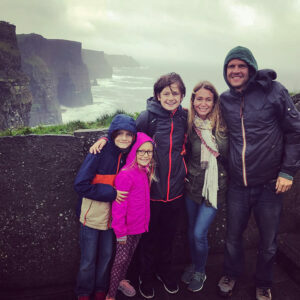 This entry was posted in Food & Drink and tagged wine on April 13, 2019 by kevin.